It never occurred to me to go back in and save the same settings again. 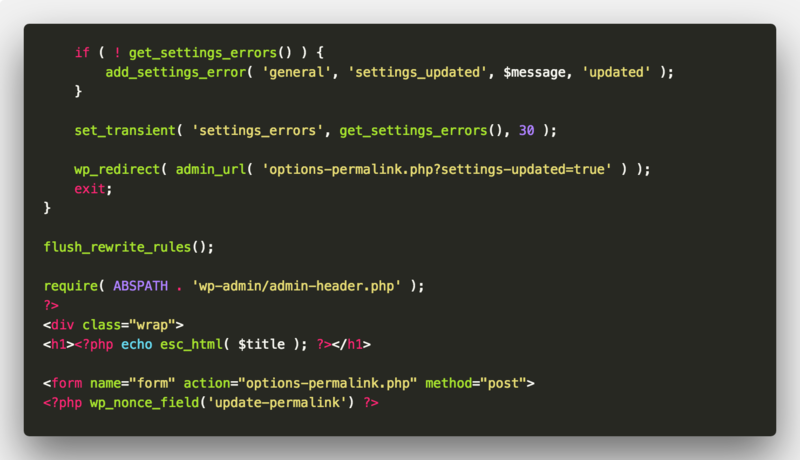 If a plugin creates a custom post type with custom rewrite rules, but doesn’t update (flush) the rules, the end user has to revisit the permalinks page or the new CPT results in 404s; this is one reason for revisiting the permalinks page. 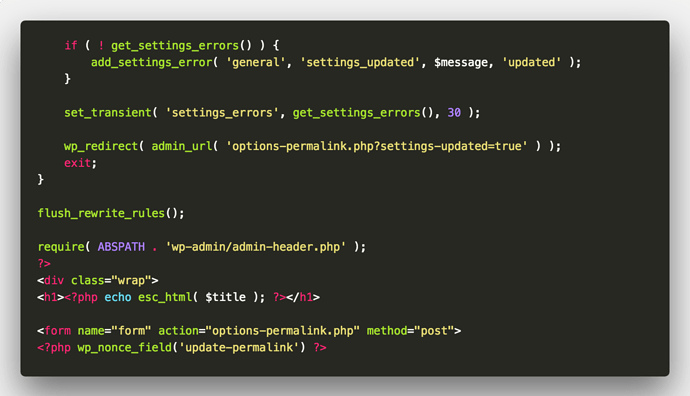 Uninstalling that same plugin would, again, take a trip to the permalinks page to remove the rules. Thanks John. I can appreciate the need in that scenario. Just didn’t think of it as part of the migration process. I had stuck that on my to-do list for further investigation…thanks for following up on it, @rui …and thanks for the early morning laugh! 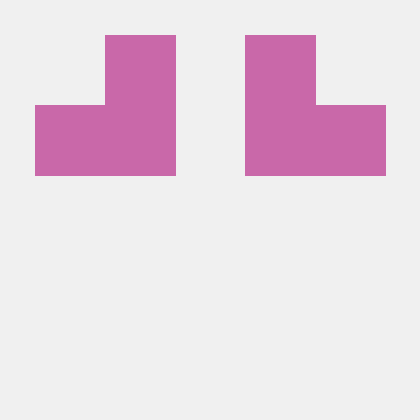 12 commits changed 4 files with 405 additions and 31 deletions. The fix will be included in 1.0.0-rc2, coming out tomorrow.